Cabling is not something many businesses think about because when everything is working, no one’s concerned about what connects their entire network. However, once something goes wrong and a connection fails, it can be incredibly detrimental not only to your data and phone, but to your business too. Before your network goes down, contact Great Computer Solutions in Skokie or in Chicagoland. Not only can we help you fix something once it has gone wrong, we can prevent a problem from ever happening in the first place. A+ Certified Technicians – GCS specializes in the installation of voice and data cabling. We are extremely proud to announce that all of our specialists are A+ certified. 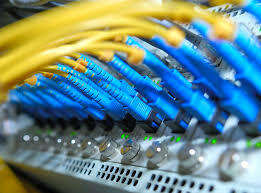 When you want quality work you can trust, come to Great Computer Solutions today so we can help you with expertise, information, and quality cabling.